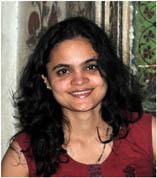 Dr. Smriti V Parikh, Ph.D. Prior to NutritionRank.com, Dr. Smriti Parikh has worked as a Nutrition consultant at major brands like Nestle and Kellogg's. She brings in-depth knowledge about nutrition and healthy eating. Having worked at major CPG brands, her understanding of the packaged food products and their impact on nutrition has been tremendously useful in developing the algorithm for ranking foods based on multiple criteria. Dr. Smriti worked closely with NutritionRank Data scientists to prepare a formula for ranking all the foods in the world. Furthermore she devised complex algorithm to personalize Nutrition ranking as per individual health conditions and desired lifestyle goals. Smriti holds a Ph.D and her thesis studied the impact of nutrition health promotion program in an industrial set up and supplementation of Gymnema sylvestre in type 2 diabetic patients. Dr. Atul Kumar is a well-known Gastroenterologist, a marathon runner and a healthy lifestyle champion. As an award-winning medical practitioner for his research in Capsule Endoscopy, he is a firm believer in healthy eating practices. He is an advocate of the old adage "Prevention is better than Cure". Dr. Kumar advises healthy eating practices to all his patients regularly and he wants to spread this message to the world through NutritionRank website and upcoming apps. His guidance to NutritionRank.com team has been very crucial in improving the team's awareness about healthier eating that looks beyond diets and losing weight, but an overall healthy living, that addresses fitness on the outside as well as inside. Dr. Atul Kumar holds position of Assistant Professor in the Department of Medicine, Division of Gastroenterology and Hematology at Stony Brook University Hospital. He is also Acting Chair, GI Drugs Advisory Committee for Food and Drug Administration. Dr. Kumar completed his Medicine training from at Bridgeport Hospital of Yale University and his Fellowship training in Gastroenterology and Hepatology from Emory University. He also earned an MBA from University of North Carolina at Chapel Hill. Dr. Tulika Ranjan, Assistant Professor of Neuro-Oncology at Duke University, is a firm believer in holistic nutrition and healthy lifestyle. Her extensive experience with brain cancer patients and their difficult treatment process has made her an active campaigner for changes in American Lifestyle and eating habits. She is appalled at amount of misinformation prevalent in the food market and strives to ensure that everyone get right information for making truly healthy eating choices. She educates people about challenges with junk foods, and how they can be replaced by healthier alternatives. Dr. Ranjan completed her Medicine and Neurology training from University of Medicine and Dentistry New Jersey and her fellowship in Neuro-Oncology from Memorial Sloan-Kettering Cancer Center. She also served as Brain Cancer specialist at North Shore LIJ hospital in Long Island NY. 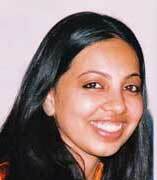 Smruti Niljikar is an accredited practicing dietitian with a Master degree in Nutrition & Dietetics. Prior to NutritionRank.com, She has worked as a Clinical Dietitian and Nutritional Analyst in various hospitals and Nutraceutical ventures. She has been a part of the WHO sponsored project, which studied the nutritional implications of rural to urban migration in India. She frequently holds nutrition workshops, including invitations to speak for corporations such as Tata research foundation and Yakult India. Pallavi Raj is a passionate biotechnologist and has been an avid science writer since the inception of nutritionrank.com. She carries very strong background in the field of immunology and molecular biology. She has demonstrated her expertise in writing extensively on blogs and articles akin to health and diseases. She harbors the special passion in the contemporary study about the multiple impacts of various food nutrients on our body, due to her rewarding career in nutritional biotechnology. Her propensity towards investigating the pros and cons of consuming any particular food and illuminating the nutritional profile has made her one of the nutritionrank.com's valuable contributors. She firmly concedes that biotechnology has the potential to completely transform the future of food. Alok, whose name means the one on a mission to eliminate confusion and spread knowledge, is a believer in the power of semantic web to make people's life happier. Throughout his life Alok has struggled to control his weight and gone through the pain of sorting through conflicting and confusing cacophony of food marketers. His personal quest to find healthy food meeting his taste motivated him to devise algorithm to rank foods and create a vertical search engine to find nutritious food matching to individual taste. As a professional, Alok who is also the co-founder and CEO of iFood.tv, has gained extensive experience as Senior Business Manager at Microsoft and as the Technical Project Manager at IAC (HSN). His in-depth training in the area of complex analytical modeling for driving strategy and business decisions at multi-billion dollar enterprises carries over to the consumer oriented Internet businesses. Alok aspires to bring simple decision making tools to everyday problems like healthy eating and good nutrition. Alok holds an MBA from Columbia University in Entrepreneurship, Management, Strategy and Finance and MS in Management and Information Systems from University of South Florida. Vikrant is a self-proclaimed foodie and an omnivore. In spite of being an omnivore is in excellent health which he credits to being heavy on healthy food and very light on unhealthy stuff. Some of the challenges he faced in separating healthy and unhealthy food led him to team up with data scientist and nutrition experts to launch NutritionRank. He brings an infectious energy and a great sense of humor to the team. Earlier, Vikrant has worked as a Senior Product manager at Internet Brands owned ExpertHub and led the launch and growth of several niche sites providing lead generation services to experts. Vikrant also worked as consultant in Microsoft Services group advising companies on profitable business technology planning. Vikrant holds an MBA from INSEAD, France and a MS from University of North Carolina in Electronics and Telecommunication engineering.